For a young actor, moving from school plays and community theater to the professional stage is a big deal. 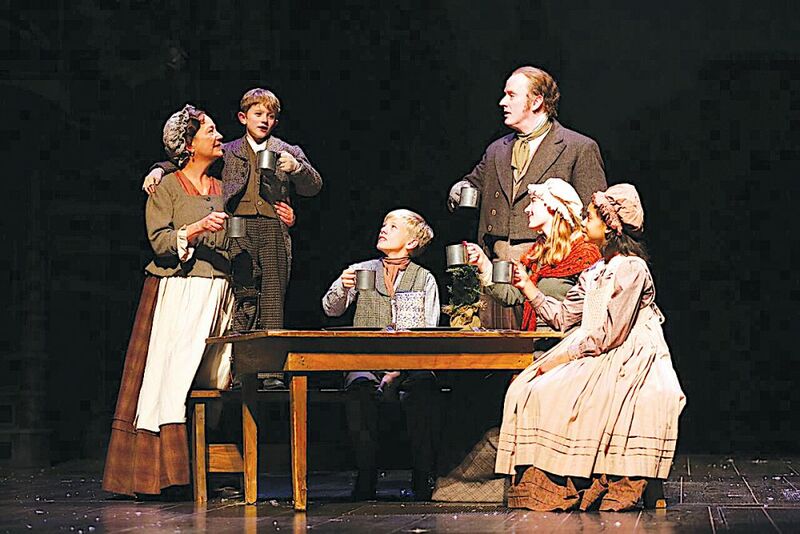 This month, three Loudoun kids hit the big time in historic Ford’s Theatre’s annual production of “A Christmas Carol” in Washington, DC. 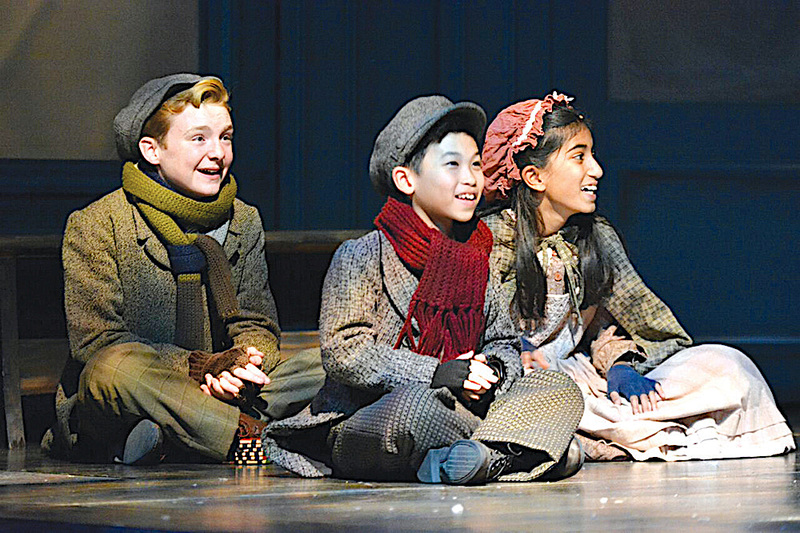 The musical play based on the Charles Dickens classic features Loudoun middle schoolers Serena Parrish and Kashvi Ramani and fourth-grader Malcolm Fuller. The three young actors have jumped into a grueling rehearsal and performance schedule that has meant missed school and a packed calendar through the end of December. But all three say the experience has been absolutely worth it. Serena, an eighth grader at Harmony Middle School, plays Ebenezer Scrooge’s sister, Fan, in a flashback to Scrooge’s youth guided by the Ghost of Christmas Past. Fan’s role is relatively small but important, Serena said, offering the audience insight into the roots of Scrooge’s scroogy-ness. It’s been an exciting challenge for the young actress. Serena is a familiar face to Loudoun theater-goers through her involvement with Main Street Theater Productions, most recently starring as Jojo in Main Street’s production of “Seussical” last May. 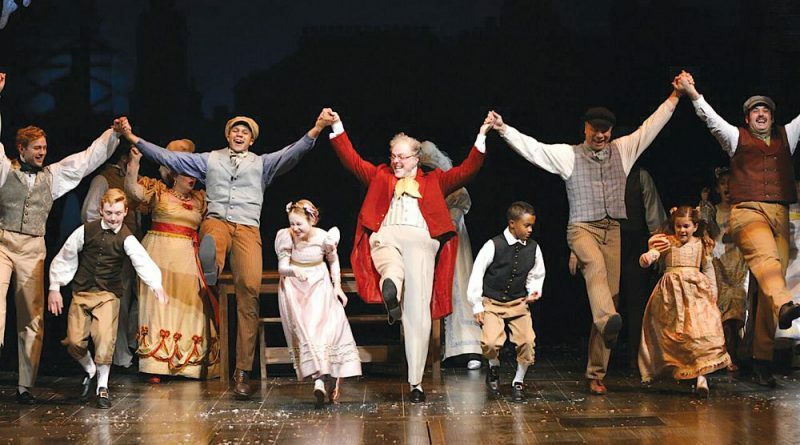 Main Street’s founder and artistic director Karlah Louis, a longtime DC actor who played the good-natured Mrs. Fezziwig in a past production of “A Christmas Carol” at Ford’s, was deeply familiar with the show and encouraged Serena and fellow Main Street regular Ainsley Deegan, of Winchester, to audition. Ainsley, who charmed audiences with her appearance as Young Kangaroo in Seussical, also earned a role in the DC production. Louis felt the two girls had the talent, confidence and discipline to make a move into professional theater, and “A Christmas Carol,” which runs every year at Ford’s, was the perfect first step. Kashvi, a 12-year-old sixth-grader at Ashburn’s Farmwell Station Middle School, got her start with another community troupe—Leesburg-based Theaterpalooza, where she appeared in productions of “Aladdin,” “School of Rock” and “Little House on the Prairie” before making her professional debut in last summer’s DC Capital Fringe Festival. Kashvi plays Belinda Cratchit, the bubbly, Christmas-crazy daughter of Scrooge’s clerk Bob Cratchit in scenes from Christmas present and future, a role that means lots of time on stage with the Cratchit family. The rehearsal schedule was initially a little overwhelming for the honors student, whose deal with her mom is that she can pursue acting as long as she maintains her longstanding straight-A record. Rehearsals started Oct. 30 and have moved forward on a tight professional theater schedule with only Mondays off, and the young actors leave school early each day to make their calls. But Kashvi’s passion for her art makes it doable. Kashvi, who says she initially got into acting because she noticed a shortage of Indian-American faces on stage and screen, said the diverse cast of “A Christmas Carol” is a pleasure to work with, and she’s been forging new friendships over the past few weeks of rehearsals. The show is double-cast for the children’s roles, with the two casts alternating performances. Malcolm appears in one cast while Serena and Kashvi are in the other. But since both casts attend rehearsals and watch while their counterparts are on stage, the three Loudouners and Ainsley have spent quality time in carpools and have gotten to know other cast members from around the region. The talented Malcolm, a fourth-grader at Hillsboro Charter Academy, earned the plum role of Tiny Tim, Cratchit’s sickly and endearing son, on his very first theatrical audition. Malcolm skipped community theater altogether, going straight for the big leagues—although he does recall a one-line role as a carrot in a school play in second grade. In Malcolm’s case, it was his voice that got things rolling. Malcolm, a longtime singer and violinist, was spotted by noted DC-based agent Gabrielle Gardner when he sang the national anthem at a Washington National’s baseball game last summer. Gardner took him on as a client and recommended that he audition for the role. All three actors agree that the experience has been invaluable and well worth all of the late nights and sleepy mornings to do what they love. “I didn’t know it would take all this time, but I didn’t know it would be this fun,” Malcolm said. Getting paid to perform has also been a thrill—and even wowed Malcolm’s hard-to-impress best friend. And do the young actors think it’s unusual that so many cast members came from Loudoun this year? “A Christmas Carol” runs through Dec. 30 at Ford’s Theatre with matinee and evening performances. There are no shows on Mondays or on Dec. 24 or 25. Tickets range from $50 to $105. For tickets and information, go to fords.org.